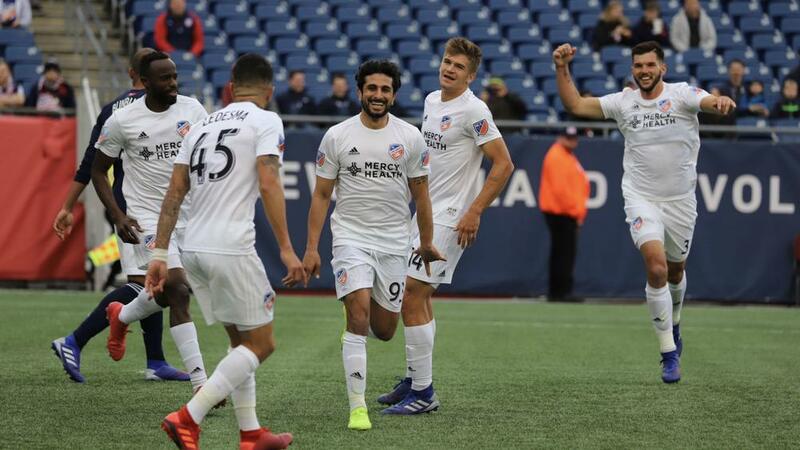 FC Cincinnati continued their solid start to life in MLS with a 2-0 victory away to winless New England Revolution on Sunday, moving them up to second in the Eastern Conference. The Revolution were hoping to get their season kick-started after two defeats and a draw in their first three games left them bottom of the table, but they were out-classed by a Kenny Saief-inspired Cincinnati in their own backyard. Kekuta Manneh gave Cincinnati the lead just before the break, arriving late in the box to blast home a driven low cross from Saief, making his first MLS start. The Revolution failed to mount much of a response and the deficit increased just past the hour – Manneh and Saief this time switching roles, as the latter diverted the ball in from close range after it had been smashed into the danger zone. Defeat was the Revolution's third successive MLS loss.